While there is absolutely no harm in recycling many unwanted items, the Baby Products Association advises that there are some baby products which should never be purchased second hand. 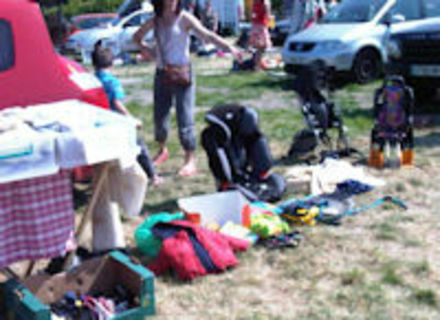 The recent long bank holiday weekends marked the beginning of one of Britain’s favourite summer pastimes – the trusty car boot sale – and the BPA is issuing a stark warning to parents about the potential dangers of buying second hand baby goods which could put the safety of their child at risk. This warning is even more poignant in the current economic climate where families are struggling to make ends meet and a car boot sale bargain is often hard to resist. Second hand car seats are a particular concern as purchasers can never be sure how old they are, how much use they have had or if they have been involved in an accident. Damage to a car seat may not be visible and buckles can be worn causing them to malfunction during an accident resulting in the child being thrown from the seat. Also, second hand car seats are often devoid of fitting instructions – a major concern when findings suggest that around 70% of all car seats are fitted incorrectly or simply are not suitable for the car in which they are used. Second hand prams, pushchairs and buggies also give safety concerns and while parents can be lulled into a false sense of security because the product looks good on the outside, they may be fooled into thinking things are equally rosy on the inside too. Unfortunately, the older the pram, the less likely that it will be a safe carriage for their child and could present a number of potential problems. For example, stiffness when folding could indicate a distorted frame and locking devices may be faulty after constant wear resulting in the equipment folding whilst in use and injuring the child. Brakes are also likely to become less effective and may not meet current safety standards. Even second-hand cots present a minefield of risks and could have damaged or missing components, have qualities which no longer comply with current safety standards and may even have been restored and painted by previous owners posing the possibility of harmful chemicals.